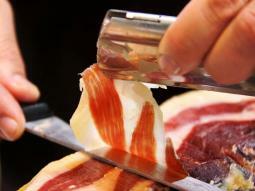 Enjoy the fascinating world of the Iberian ham including Ham tasting in with your group in Andalusia! Pick up: Free pick up available (Malaga city centre area). Mercedes Benz Minivan transport with driver. Guided Tour inside of the Dehesa and Farm Eíriz. This fun and informative tour is one that you will remember in years to come, you will see how traditional and natural practices are still used in the production of the finest quality. 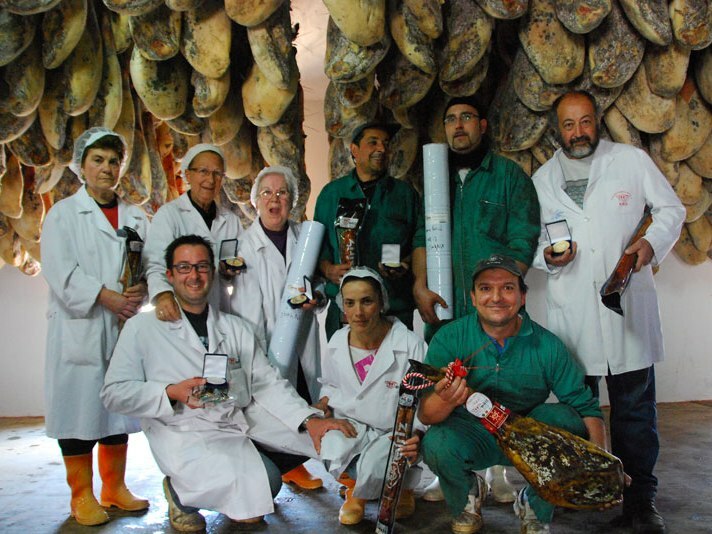 This tour includes a private transportation for your group from Malaga, a exceptional Guided Tour in the best "Dehesa" Fields and Natural Drying Houses Of Hams in Andalusia, and a delicious Ham Tasting! 07:15am Pick up at your Malaga Hotel (Malaga City Centre or Torremolinos). 10:45am Arrival to Huelva - Jamones Eiriz Farm. 11:00am Start of the Guided Tour. First, you will visit the pigs in their natural surroundings. 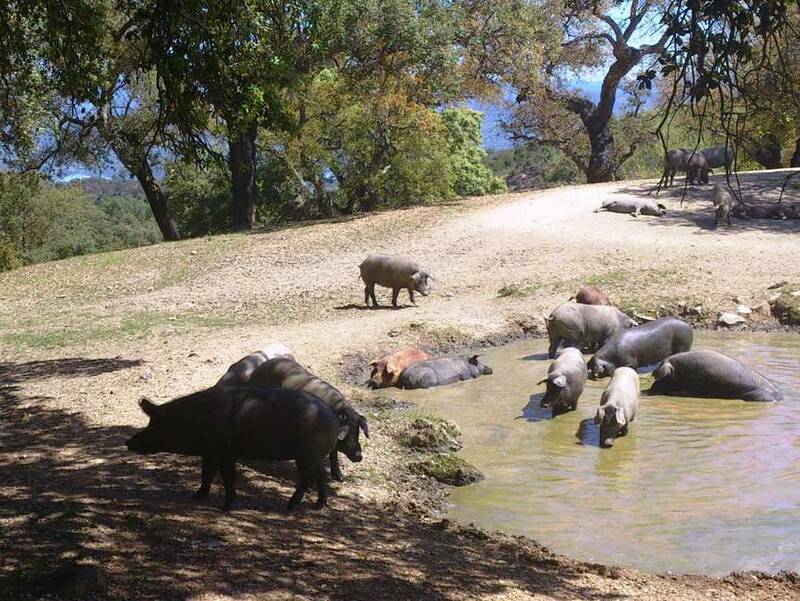 During 40 minutes, we walk in this special habitat of cork and holm oaks which to breed these special pigs. They roam free among the trees and their main diet is the acorns from these trees.You will have ample opportunities to ask questions and discover more about these incredible animals and how they live. 11:40am The preparation of the finest Hams. In this part of the tour you will discover how hams are prepared and the unique environment that is available in the Sierras de Aracena, to enhance the flavour of the hams. There are four stages: Salting, Post salting/salt balancing, Natural drying and finally slow Maturing. 12:40pm Enjoy the final Product and try our Iberian Products. Time to taste and enjoy the end result!! You will be able to taste two types of Ham which will be cut specifically for you at the time: Iberian "Cebo" ham & Iberian "Bellota" ham C.O Jabugo. And these will be accompanied by specially selected wines produced in Huelva province, a fruity, oaked wine called Vado del Quema and a dry and generous wine by the name of 1965. To finish, enjoy a rare treat, some Iberican acorn fed small pork loin, paired with a sweet orange wine. 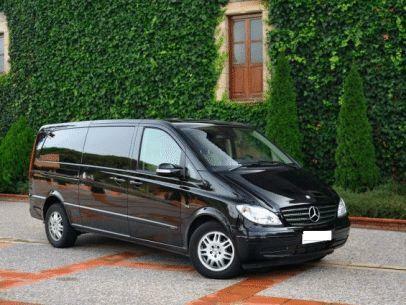 13:30pm Return to Malaga with the private transportation and arrival at 15pm. All our tasting servings are suitable for pregnant women, people with lactose intolerance, gluten intolerance or who suffer from coeliac. Comfortable and suitable clothes recommended. Warm clothes in winter (umbrellas in the rainy season) and shoes that cover your whole foot in all cases. Free cancellation until 2 day(s) before starting time.